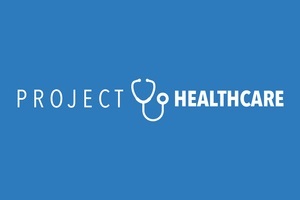 THE NASHVILLE ENTREPRENEUR CENTER announced Thursday evening its enrolment of five Nashville healthcare startups and 12 startups drawn from 11 other states for concentrated support via the EC's Project Healthcare. Prima facie, all the newly enrolled companies' are "growth-oriented", healthcare tech/device-centric, or pursuing tech-enabled service or supply missions that are related to established industry pain-points. The news comes just ahead of the August 1 second anniversary of the appointment of EC CEO Michael Brody-Waite, who confirmed in early 2017 that the EC would drop its earlier emphasis on traditional accelerator programs, in favor of a program then in-the-works that would more reliably afford entrepreneurs and EC, alike, more benefits, as well as sustainability and diversity of constituents and startup business models. At that point, the CEO said the EC's successor program would eschew "vaporware" in favor of sustainability, economic value and other benefits. Also, while the EC has not ruled-out future options, the EC has in the past two years moved far away from the equity-for-acceleration model. Instead, the EC charges an annualized $3,900 per "Portfolio cohort" registrant, in exchange for a robust array of services and resources. The EC's model was tested stepwise during the past year or so through proof-of-concept and pilot programs. Healthcare is a key player in that space." More on Dinger's innovation role here. Admitted teams are not required to maintain a full-time presence in Nashville, but must agree to attend quarterly meetings here. Details here. Companies not included in the class announced yesterday may still vie for admission to the program at any time during each year, with qualified firms gaining entry on a space-available basis, according to the EC website. ► Advocatia -- CEO Ryan Brebner, CEO (Chicago) -- Automates screening and application processes for uninsured patients. Hospitals rely on its platform to increase reimbursement, decrease bad debt, improve community health outcomes, automate enrollment and auditing. ► Authomate -- CEO Jeff Schmidt (Atlanta) -- Facilitates passwords protection using smartphone. ► Format Health -- CEO Brian Howe (Seattle) -- For quality improvement leaders who want better performance and better data during emergency events, this mobile documentation and cognitive aid system captures care data, automates reports, and provides step-by-step cognitive aid to support best possible emergency care while improving availability of data. 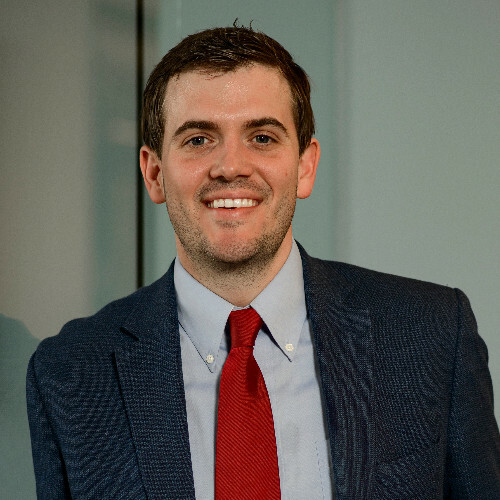 ► Healing Innovations -- CEO Luke Benda (Nashville) -- A medical device company that specializes in the neurorehabilitation space, creating devices that help those with paralysis. ► Healium -- Thrust Interactive CEO Sarah Boyd (Atlanta) -- Offers a challenge app that increases medication adherence among tweens by leveraging their support network and extrinsic motivators. ► Helia Care -- CEO Grant Siders (Scottsdale) -- Helia Connect is an agnostic, cloud-based, HIPAA-compliant platform for use by healthcare facilities and their suppliers. ► Huso -- CEO Lawrence Doochin (Nashville) -- Huso is a sound-frequency therapy that offers to bring the body's autonomic nervous system and biofield back into natural balanced harmonic state. ► iHope Network -- CEO Tom Hunter (Beverly, Mass.) -- iHope Network is a digital health company supporting talk therapy on video. and/or mental health issues, affording opportunities for care insights. physical therapy clinics to efficiently run and grow concierge service offerings such as house-calls and virtual visits. ► Post-Op Provisions -- CEO Deborah Nowak, M.D. (Minneapolis) -- Post-Op Provisions sells surgeon-designed care packages for home use after any procedure. We provide items patients might not know they'd need, aren't likely to have, and may have trouble finding on their own. 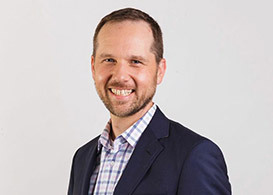 ► Raiven Healthcare -- CEO Jim Stefansic (Nashville) -- Raiven uses AI to help providers navigate complex treatment plans and determine how best to treat persons at risk. Previous Raiven coverage here. ► RDnote -- CEO Molly Hegarty (New Orleans) -- RDnote is a digital health company that uses technology to integrate clinical nutrition data and best practice throughout the care continuum. ► Remedy -- CEO Will Jack (San Francisco) -- Remedy's AI catches chronic disease early to drive better outcomes for patients while providing savings for providers. time patients spend outside of the doctor's office. technologies that transcend communication barriers in healthcare, social services and education. organization's most valuable resources -- its employees -- fit, healthy, and happy through online and on-site education. In yesterday's press release, the EC says that via Project Healthcare it seeks to support "transformation in the healthcare industry" and says it seeks to recruit startups that are "building the future of healthcare." John Murdock, the EC's chief product officer and COO, said in yesterday's release, "The EC is uniquely positioned to help this group of healthcare entrepreneurs drive their business forward. We're excited to take this next step alongside the best partners and advisors in the healthcare industry."